Is Priyanka Chopra calling it quits with her stint as Alex Parish on Quantico? The latest news doing the rounds definitely seems to hint at it. After a 2 year hiatus from Bollywood, it finally seems like PeeCee is homesick! While Bollywood has definitely missed her energy, we have mixed feelings since we absolutely LOVE Quantico! 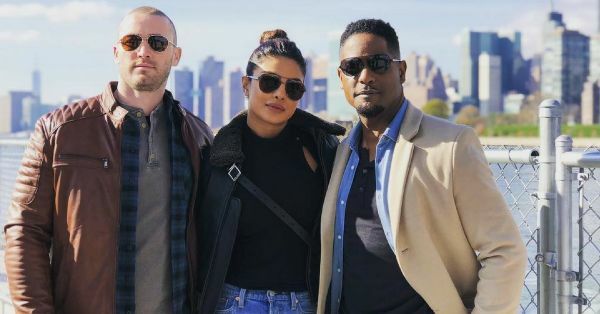 Priyanka, however, may not necessarily think that a renewal of Quantico's season 4 may be the best way to go. PeeCee may have become a household name in the West but Bollywood hasn't been the same since she left. Priyanka allegedly read the script for a Bollywood movie and fell in love. And if recent media reports are to be taken seriously PeeCee may be coming home to a role opposite Salman Khan in Ali Abbas Zafar's Bharat. If this falls through, Priyanka Chopra and Salman Khan would be cast in a movie together after a whole decade! Priyanka and Salman were last seen together in God Tussi Great Ho. While we cannot wait to see the duo together again, Quantico just won't be the same without Alex Parish! However, Priyanka isn't going to say no to Quantico if they do decide to go ahead with a fourth season. It'll all depend on how season 3 performs. Keeping our fingers crossed we'd say! A media source was quoted saying "Priyanka was quite taken by the script of Bharat. What also added to her excitement was that it would give her the chance to team up with Salman after a decade. But she's not signed on the dotted line yet. Priyanka feels that the show will lose steam if they continue with more seasons. Before pursuing any more international offers, she wants to do a Hindi film. She won't say no to them if the next season is sanctioned, but she fears being repetitive." Quantico Season 3 airs April 26th so we'll just have to wait and watch guys!